By the end of this month we will have received advance samples of three or four new home theater projectors to be released at CEDIA on September 9. So we are busy reviewing projectors that we are not allowed to discuss yet. Then comes the Optoma HD20 next week. 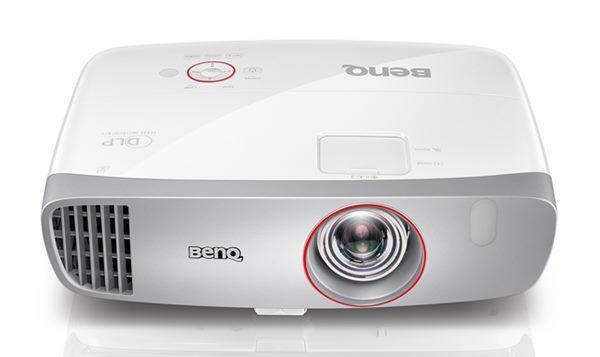 This is one of the first 1080p projectors to market with a price tag of $999. The HD20 delivers a beautiful picture for the money. However, we see more rainbow artifacts on it that we do on more expensive home theater projectors. We'll get into this in detail in the review. On the heels of the HD20 review will be Vivitek's H9080FD, a high-end 1080p model featuring an LED illumination source for $15,000. This one won't be for everyone obviously. But it delivers an ANSI contrast reading of a whopping 844:1, by far the highest we've measured on any digital projector ever. That's not the whole story though, so stay tuned for the review if you are in the market with that sort of cash in your pocket. Any news of a 3D function in these projectors? The Optoma HD20 color wheel is reportedly a 6-segment (RGBRGB) design, so at 2x speed that effectively makes it the same as a 4x speed 3-segment color wheel. So if you haven't had trouble with DLP "rainbow effect" (aka "RBE") on other 4x color wheel projectors, there's no reason why you'd have them on the HD20. What I'm more concerned about is Optoma's HD20 datasheet states uniformity is only 70%. I'll be interested to see if that's anything that viewers can see or find distracting in actual viewing tests. I'm anxious to read the review for the Vivitek H9080FD. At this point, the price isn't the biggest concern as we all know this will eventually go down over time and with subsequent models. The real concern is how well it performs visually and what's the duty rating for that lighting system. Any news on when the Optoma HD20 review will be out? And while we are at it (Full-HD below $1,000) will the Vivitek H1080FD be out soon as well?